Kochetkova in Helgi Tomasson's Trio. Photo by Erik Tomasson, Courtesy SFB. San Francisco Ballet announced this morning that principal dancer Maria Kochetkova will leave the company at the the end of the 2017–18 season. Her final performance date has not yet been announced, but it will be sometime during the company's Unbound Festival, April 20–May 6. Sofranko in William Forsythe's "Pas/Parts." Photo by Erik Tomasson, Courtesy Sofranko. 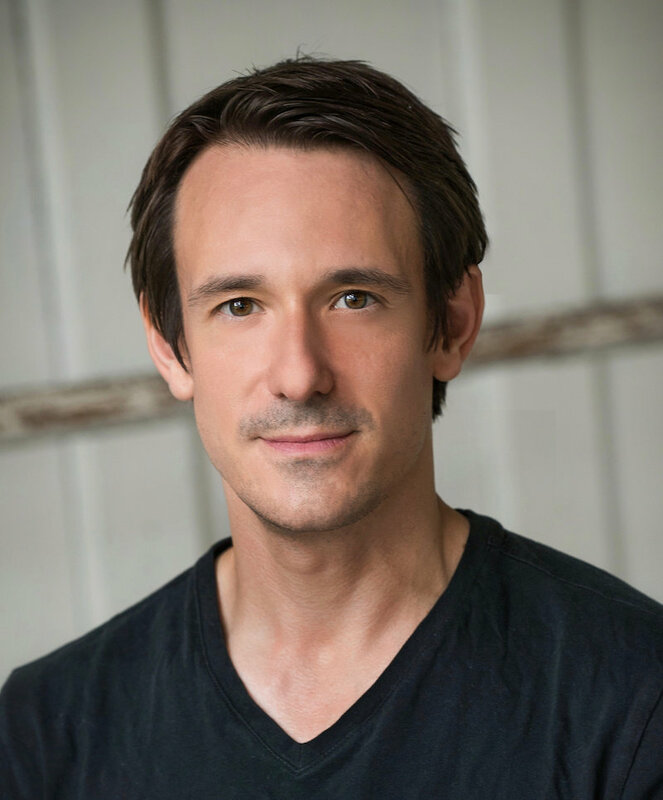 Today Grand Rapids Ballet announced that longtime San Francisco Ballet soloist James Sofranko will succeed Patricia Barker as its new artistic director, effective July 1, 2018. The 38-year-old, now in his 18th season with SFB, topped a list of 40 applicants from around the world to become only the fifth artistic director in GRB's 46-year history. Born in Marion, Indiana, Sofranko grew up in Cincinnati and trained at The Harid Conservatory and New York's Juilliard School. He joined SFB in 2000 and was promoted to soloist in 2007. From 2005­–2006 he performed the lead role of Eddie in the national tour of Twyla Tharp and Billy Joel's Broadway musical Movin' Out. He also has directing experience: In 2014 he founded his own contemporary ballet repertory company, SFDanceworks, which performs during the summer. Photo by Andrew Weeks, Courtesy Sofranko. If everyone in your ballet class has called out sick on October 5, there's a perfectly good explanation: that's when World Ballet Day LIVE is scheduled to return. In other words, 24 hours of binge-worthy behind-the-scenes footage featuring five of the world's leading ballet companies. Tune in to Facebook Live to watch as The Australian Ballet, Bolshoi Ballet, The Royal Ballet, National Ballet of Canada and San Francisco Ballet take you inside the studio for classes, rehearsals and interviews with your favorite dancers. Details have yet to be released, but we'll be sure to keep you in the loop! In the meantime, mark your calendars, and enjoy some of San Francisco Ballet's highlights from last year's event. How long has the “ballet is dead" movement been plaguing us? How long have we swatted away such a preposterous conceit, much as we might swat a pesky mosquito? This obituary has been inflicting annoyance at least since the late 1950s. But the assertion has always come as a surprise to the thousands of dancers who have raised technical standards to unimagined heights a generation ago. The statement has always astonished ballet company directors around America who have watched their audiences grow over the decades. No corpse has ever seemed giddier. Even Jennifer Homans, who famously declared ballet a doomed art in her 2010 book Apollo's Angels, is reconsidering her position. Her announcement this fall that she has founded The Center for Ballet and the Arts at New York University suggests that she is prepared to question ballet's viability and to restore life to the art form. Pointe caught up with San Francisco Ballet Artistic Director Helgi Tomasson backstage at the New York State Theater in NYC, where the company was performing as part of the Lincoln Center Festival in July 2006. Tomasson, who lit up the stage of the State Theater as a principal with New York City Ballet in the 1970s and ‘80s, ruminated on his 21 years directing SFB, what he looks for in dancers and choreographers, and what it takes to be a success. POINTE: Is it as fulfilling personally and artistically to be an artistic director as it is to be a dancer? Tomasson: It’s very different. As a dancer, you have a great performance one night and then the next day, it’s over. It’s another day, and you start again. As a director of a company, seeing it grow and be recognized, and watching talent grow and blossom—that’s very satisfying. POINTE: Is it still important to you that San Francisco Ballet be recognized for excellence in Balanchine works? Tomasson: Absolutely. I think many of Mr. B’s ballets are as contemporary or more so than some things that we see today by young choreographers. I spent a lot of time here in this theater, and I would not trade anything for those years. Ballets were created on me by Balanchine and Robbins, so that’s a very important part of how I see dance. But I also feel that we have to find our own voice and do our own thing besides having Balanchine ballets and Robbins ballets in the repertoire. POINTE: What do you look for in choreographers? Tomasson: I like them to have basic knowledge of classical technique and vocabulary. I prefer that they choreograph for women in pointe shoes, but how they use pointe and what they do with the movement—that’s up to them. I’m interested in how they challenge classical technique. How can they stretch it and twist it and make it more than it is now? I think that there are a lot of possibilities in classical technique. With such a wonderful base, how can we enhance it and make it move with the times? POINTE: Your own choreography has evolved over the years. How do you continue to develop as a choreographer? Tomasson: Like anything else, you work at it and stay with it. It’s not easy to direct a company and choreograph at the same time; being torn by so many different aspects of directing doesn’t leave a lot of time to choreograph. But I truly love working with dancers, teaching in the classroom, looking over rehearsal and choreographing. And as I’ve done more things, I’ve learned from them. That’s been part of a process. POINTE: With several principal dancers approaching retirement age, San Francisco Ballet seems to be in a period of transition. How do you encourage the next generation to make the leap to principal caliber performance? Tomasson: Well, there is always some kind of transition in any company—people come and people go. You have to give young dancers opportunities, challenge them—see what they’re made of. That’s my job. You don’t become an instant principal dancer or a great dancer overnight. It takes time, even for someone like Muriel Maffre, who is a great, great dancer and has a wonderful following in San Francisco and here, too. But it wasn’t always like that. When she first came, people were not as taken with her as they are now. Dancers have to be given opportunities. That’s the only way that they develop. If the talent is there, and the will, and they get the opportunity to be challenged by many different types of works by different choreographers, that’s what’s going to make them great dancers. 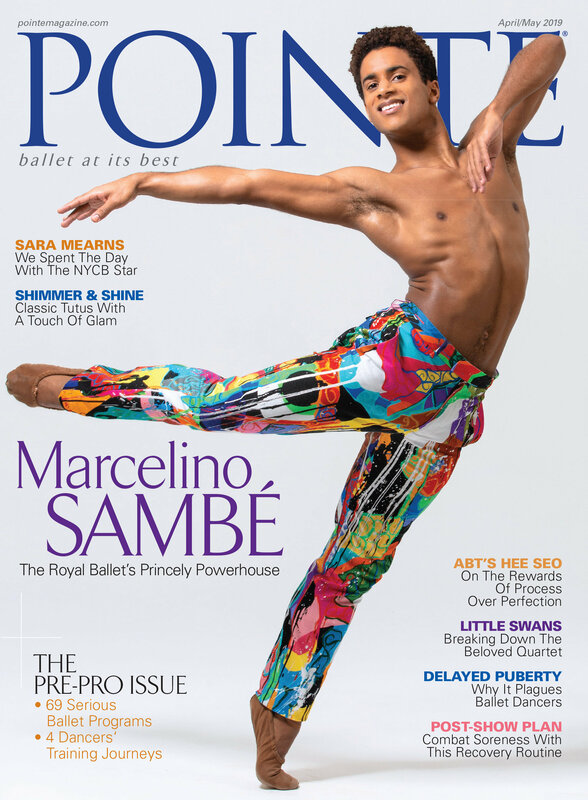 POINTE: What lessons from your own career do you try to impart to dancers? Tomasson: Enjoy the moment. Dancers’ careers are not long. You spend up to 10 years training and by the time you start coming into a company at roughly age 18, it’s probably only going to be a 12- or 15-year career if you’re lucky and free of injuries. Enjoy it, and get the most out of it that you can. Don’t hold back—there’s nothing to save for. POINTE: Aside from technique, what qualities are important to you in dancers? Tomasson: A passion for dance and musicality. Passion is very important for me. But sometimes it just has to do with what I need that year. Am I looking for a tall ballerina because I have tall guys or am I looking for a small girl? It’s not a formula. I just tend to go by my instinct—when I see it, I know it’s right. My name is Amanda Schull. I am a fifth-year corps member with the San Francisco Ballet. During my time with the company I have been lucky enough to travel on tour to several different countries. This past September, SFB stopped in Athens, Greece, before heading to the Sadler’s Wells Theatre in London, England. This tour was one of the most intense I had experienced with the company. By the time we got to London we had already been on tour for 10 days, and the schedule planned was daunting. We opened three different programs in three days, a total of 11 ballets. I knew our seven shows would be memorable so I documented the experience in a diary. The company arrived in London today. Arriving and checking in is always hectic on tour. We got to our hotel tonight at about 11:30 pm and all 51 of us scrambled to get our luggage from beneath the bus and then made a mad dash to the hotel lobby for our room keys. Adding the element of hunger to the mix, we were a lobby full of cranky dancers. Room service was closed, so we wandered the streets in search of sustenance. A group of us found a small Middle Eastern take-out place and wolfed down our falafels before going to bed, because tomorrow morning we start work. We can’t get into the Sadler’s Wells Theatre until the day of the first show, so Saturday and Sunday we rehearse in the Royal Opera House. This morning, The Royal Ballet took class in the studio next to us. Their class started after ours, but once we realized they were next door, a bunch of us crammed in front of the viewing window and ogled their class. Sylvie Guillem stood in the corner. I think she is the only female dancer I know that men marvel at just as open-mouthed as women do. It’s crazy to see our principals so starstruck over another dancer. I wonder if any of The Royal Ballet dancers feel that way about us. I think one of the most interesting parts of touring is using other companies’ workspaces. Getting to see other professional dancers in class and rehearsal is both educational and relieving. No one looks perfect in class (except maybe Sylvie), and knowing that this is true for other professionals puts many minds at ease. Today and tomorrow are long workdays. Because our rep is so ambitious for this tour, SFB flew in our company chiropractor. We also have our physical therapist and massage therapist with us, so what little downtime we have is often spent on body management. I know it sounds like we’re spoiled, but the physical demands are great and it’s hard to take care of injuries while on tour. We don’t have the regular comforts of home, and we spend a lot of time lugging our bags everywhere, so we’re all thankful for the extra therapy. Tonight was opening night at Sadler’s Wells. We had class at 11:15, then dress rehearsal from 1:30 to 4:30. I was in Square Dance. After the dress, we got our notes onstage. The artistic staff seemed a little anxious. Opening night in a city as culturally aware as London means we need to be at our best. Then Helgi [Tomasson, SFB artistic director] gave us an inspirational “just go out there and dance!” talk. It’s relieving to hear that he is aware of our stress level. By the time you get to opening night, if you don’t already have the technique, it isn’t going to happen in the next couple of hours. Dress finished at 4:30 and there was just enough time to grab a snack, collect our thoughts and do it all over again for the 7:30 curtain. Backstage, our crew sets up small tables with everything we could possibly need for the performance, including emergency sewing items (needles and thread of all colors), safety pins, Band-Aids, Neosporin, Advil, colored markers for costume camouflage, tissues, hairpins, hairspray, toe tape and a box of rosin. Before each show, the girls usually congregate around the rosin box and discuss the upcoming ballet while we put on our shoes. Tonight we discussed our collective nervousness. Balanchine’s Square Dance is one of the most demanding ballets—both physically and technically—any of us has ever performed. The guys seemed calmer. I don’t know if they really were or if they just wanted to appear macho. Throughout the ballet, my partner, Garrett Anderson, talked to me onstage. He knows I like the verbal encouragement. It seems silly, but it really helps to have someone cheering you on when you feel you are reaching your physical limit. Whenever possible, I try to connect with the other dancers onstage. We are each other’s support system, especially when we are away from home. Tonight when I looked at my fellow dancers, I was humbled. Everyone looked great, especially Tina LeBlanc; she danced like she had lightning bolts shooting through her feet. We hit our final pose and the audience roared on the blackout. Square Dance is so technical that it sometimes doesn’t come across to an audience unless they understand ballet. This audience did. Whenever I question why I do what I do, I am reminded when I bow. Perhaps it is the validation or the confirmation that all we put ourselves through is appreciated. Today we put ourselves through a lot. Back in the dressing room, the corps girls spent at least 15 minutes dissecting the ballet from top to bottom. We broke down each little section and imitated ourselves doing every step, each one of us exaggerating our flaws more than the last. After exerting so much energy I think we all needed a little comic relief. After the performance, one of our principals and resident choreographer, Yuri Possokhov, asked me if Square Dance was “hard.” What? Hard? That doesn’t even encompass it. He said we all looked so calm and controlled. That is a huge compliment, considering we all felt as though we were going to die of exhaustion. There was a reception in the theater lobby after the performance. Everyone there was very complimentary about the show, but the party didn’t last very long. We have to do it all again tomorrow. Like yesterday, class was followed by dress rehearsal onstage. I misjudged the amount of time I had to get ready for Balanchine’s Ballo Della Regina and ended up doing rehearsal pretty cold—not good for a jumping variation. Because of that, I was disappointed with how my rehearsal went. After Ballo, a couple of the corps girls who had been watching from out front complimented me. It’s funny how much a peer’s praise can lift your spirits when you need it. I returned the favor by watching The Four Temperaments (also choreographed by Balanchine) from the house. When I went onstage afterward, everyone was hungry for corrections and advice, especially the girls. Sometimes on tour, the little things get overlooked because of time constraints, and we often rely on each other for feedback. I feel like I’m living in the movie Groundhog Day. Again we had class, dress rehearsal and then the performance. I danced in Christopher Wheeldon’s Rush . During class, Tina LeBlanc slipped and twisted her ankle. She dances so much on this tour, she is the last person we need going down. She performed through the pain, but after the show she was pretty uncomfortable. Tomorrow we repeat Program 1 again. No more dress rehearsals! We’re done! The final stretch was pretty rough, but surprisingly, for a tour this intense, there were very few incidents. Tina ended up having to take off a show because of her ankle, so Vanessa Zahorian stepped in for her in Square Dance. She and her partner, Guennadi Nedviguine, hadn’t even touched each other since last season, six months ago. She had one rehearsal the day of her performance, but she remembered all of the choreography and nailed the show. It made me realize how much these women sacrifice for their work. After we finished, Helgi bowed onstage with us. When the curtain came down, he gave us a little “congratulations” speech. He was really pleased with our tour, which of course made all of us happy. After the show a group of us went out for a “tour-well-done” dinner and toasted ourselves—how egotistical—but we deserved it. It was finally time for vacation! Amanda Schull is a member of the San Francisco Ballet corps de ballet. The following is a guest blog by San Francisco Ballet principal Yuan Yuan Tan, currently on tour with the company in Copenhagen, Denmark. Stay tuned for more posts from Yuan Yuan! Things are going very well here on our tour to Copenhagen, but there was a bit of drama on our way to the residence of Laurie Fulton, US ambassador to Denmark, for a reception Monday night. As one of our two buses left the hotel, the second bus got a flat tire. Luckily, I was able to fit into one of four extra seats on the first bus—which I was very happy about, especially since it was raining pretty hard! By the time we got the reception, the rain had stopped, and we had a lovely time. Ambassador Fulton gave a very warm speech and Helgi [Tomasson] presented her with our 75th anniversary book. Since I was performing for the opening night of our second program on Tuesday, I stayed in my room and rested once I got back from the event. Yesterday was a long day with the dress rehearsal and opening of Program 2. The opening proved how warm and gracious the Copenhagen audiences really are. On stage, we could 100% feel their energy and we were very appreciative of all the curtain calls! I also saw an old colleague from SFB, Peter Brandenhoff, and it was really nice to catch up with him. We're in the home stretch now, with only three shows to go!